Did you miss Part 1? Check it out, here! 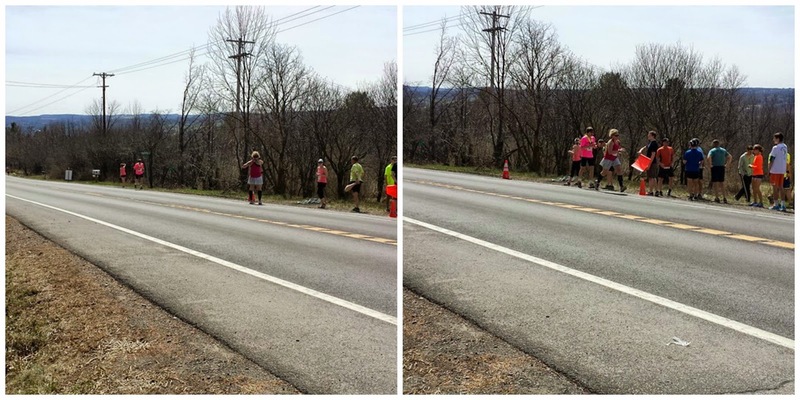 As Mike was making his way through his first leg, it was almost time for me to run my second leg! Our team was doing well and holding strong at a consistent 7:50 pace, but the majority of us would run our hardest legs of the day next. Floating during his first leg! 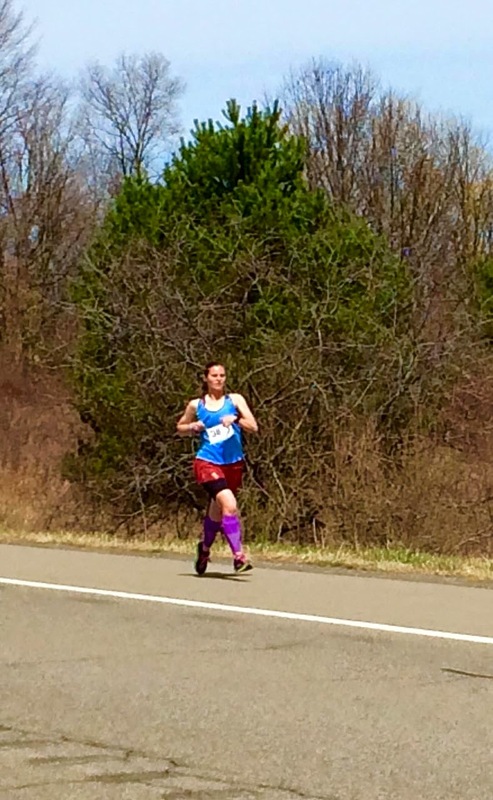 When I decided on going first this year, I knew that my second leg was going to be tough. Admittedly, all of the runner positions have tough parts to them, but I was scared of the hill that I was about to attempt to run up! 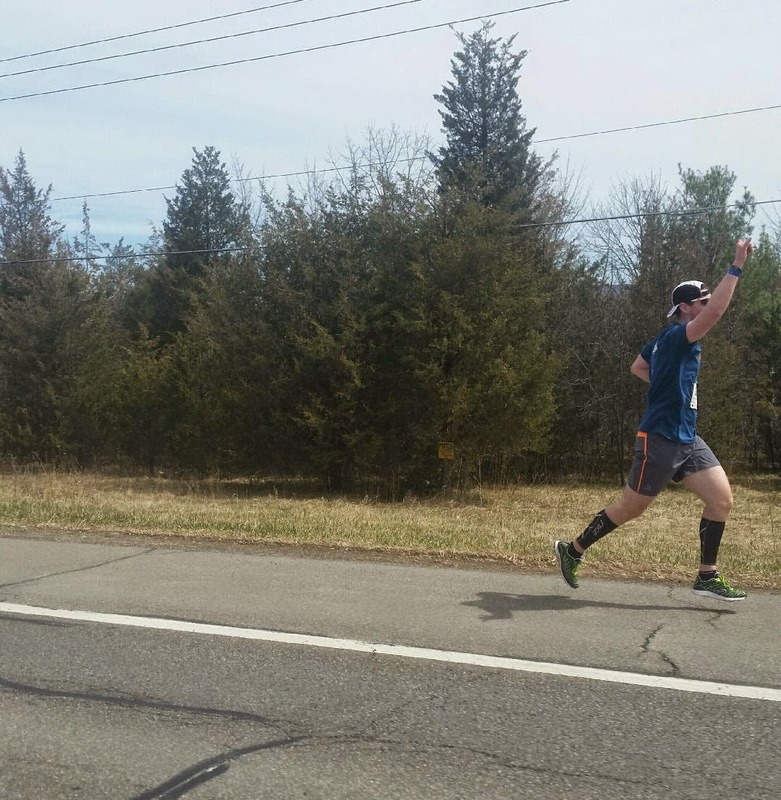 Right around 12:27pm, I saw Mike running along the road and then he made the turn down toward the exchange. He crushed his first 4.1 mile leg! He ran it in approximately 31 minutes at 7:28 pace. While his leg had some climbing in it, the final portion was a steep downhill toward Glenora Winery. As he came flying in, I said to him, "you need to slow down!" We almost bobbled the exchange, but luckily I grabbed the slap bracelet and took off! 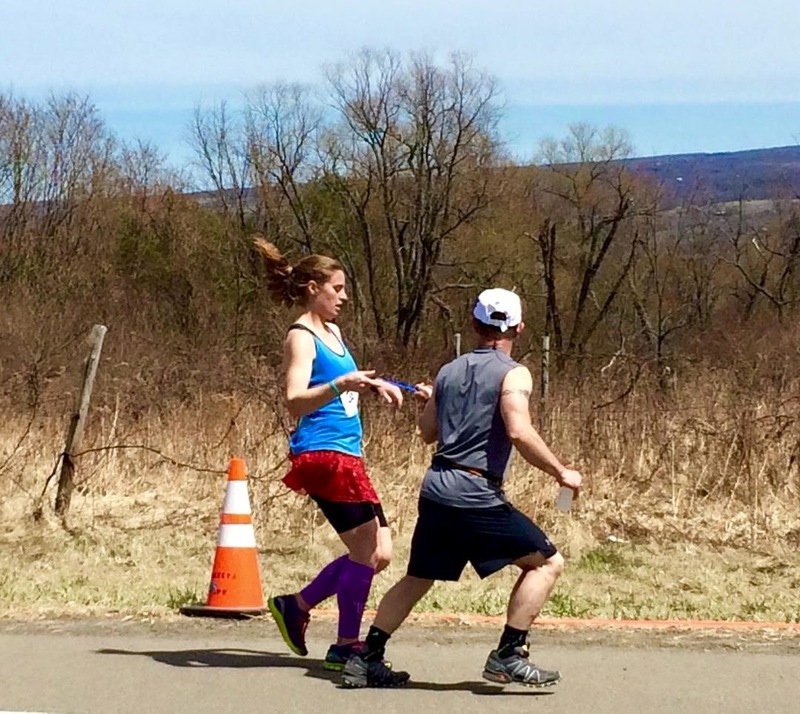 This 3.3 mile leg is described as "down, down, then up, up". The first mile is downhill along North Glenora road. I made my way down and crossed the railroad tracks and just focused on keeping a good pace, since I knew I would slow down the next mile. This was my loneliest leg. The vehicles went a different way than the runners and I only saw three other runners, who all passed me, during this leg. The views were spectacular and this took my mind off of the monster hill I was soon going to have to run up. As I made my way down the final portion of the downhill (it was pretty steep and I felt like I was going to fall sometimes), another runner passed by me. The course wasn't marked at this point so he looked back at me to ask which way to go. Since straight was a dead end, I indicated that we had to go right, and up. My first mile was 7:13 pace, which is good since I needed all the help I could get to balance out my next mile! 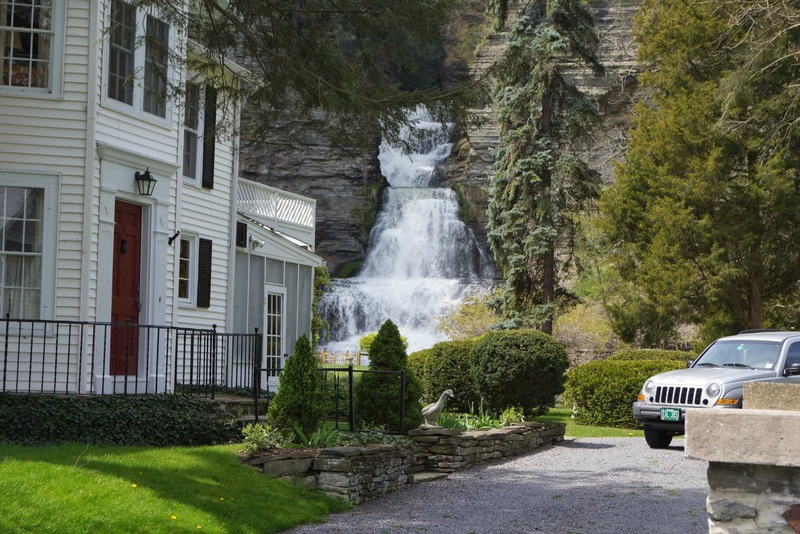 Right when we turned, I saw Glenora Falls. It was beautiful and took my mind off of what I had to do for the next mile, but only for a second. I had it in my mind that I would try to run up the entire hill, but when I saw the guy who had passed me walking up ahead I knew that I might not be able to. I made it pretty far and then turned the corner and walked for the first time. Eventually another runner caught up to me and we exchange a few words about the hill and he kept going. I walked a few more times because my calves were burning from being on just my toes (it was that steep) and then the hill started to level out a little bit. I didn't walk again and finally made it back out to the main road. A cyclist from a bike team (yes, some people choose to use bikes as their transportation around the lake) said to me, "great job tackling that hill". Luckily, at that point the road flattened out a bit for the last mile or so of the leg. My second mile was 11:35 pace so I knew I had to pick up the pace. I didn't want to let my team down! So happy to be done! Finally, I could see the exchange point in the distance. I just focused on getting to Jamie and tried not to slow down. We made the exchange and my hardest leg of the day was done! I ran the 3.3 miles in 28:53 at 8:54 pace, not too bad considering I had 400 feet of elevation gain - all of which was in that second mile! Greg and Heather making their way up the hill! We kept up our pace of around 7:50-7:55 average as we made our way around the lake. 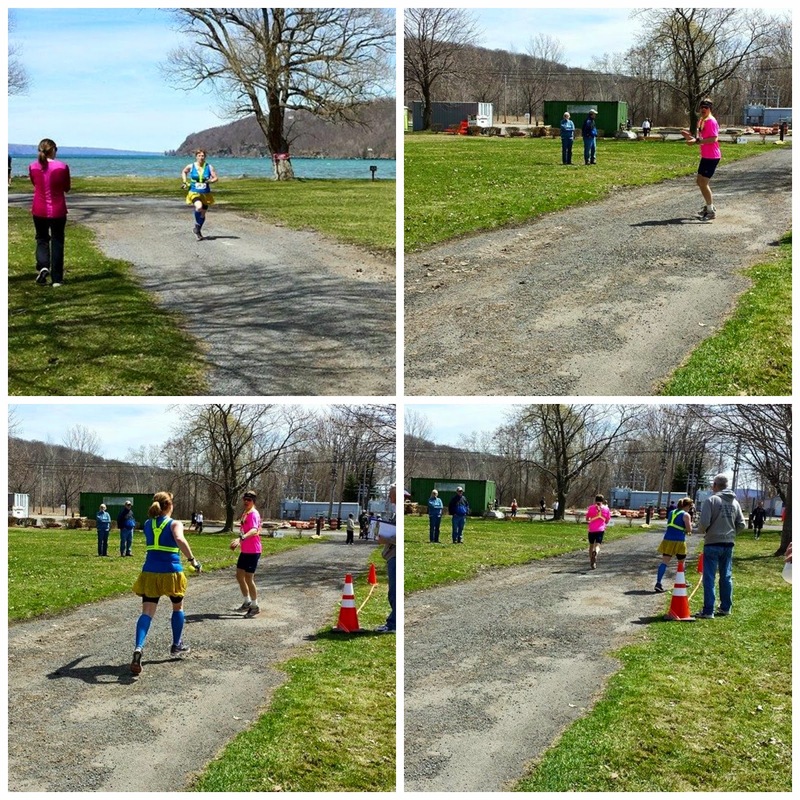 As I mentioned previously, the majority of runners had their hardest legs coming up. 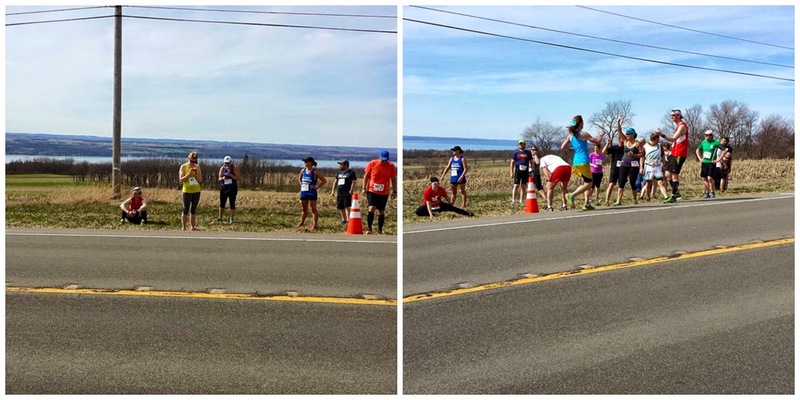 Erin ran us down a steep hill into Watkins Glen (the halfway point!) and then Greg had to run up a steep hill out of town. 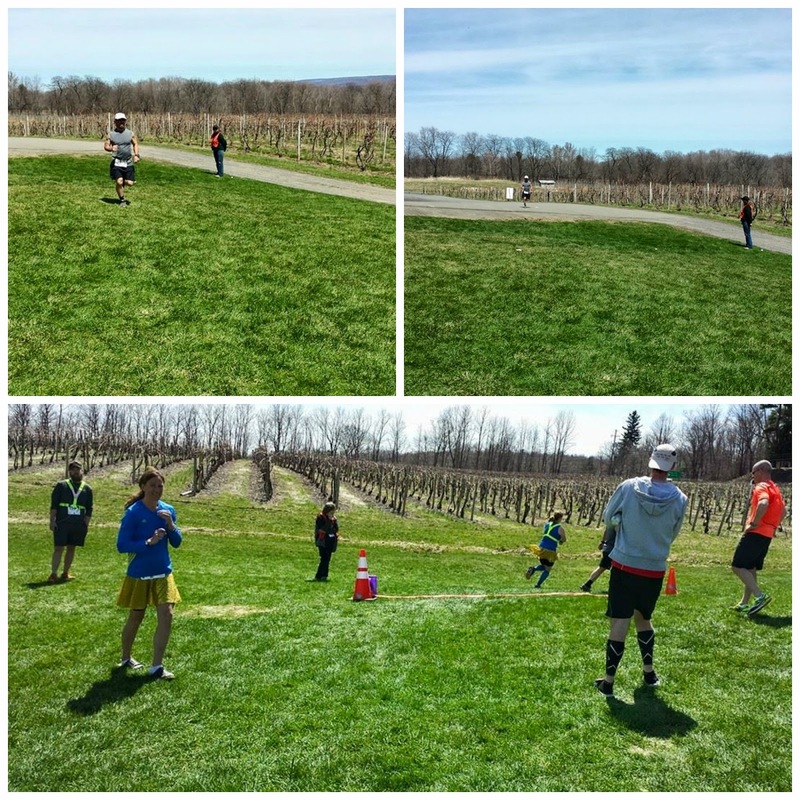 There was also a new change to the race this year (a disgruntled winery owner told the race two weeks prior that they could not use their business as an exchange), and as a result, Heather had to run 6.1 miles. Heather crushed her 6.1 mile leg! Beast. At this point we were catching up to the earlier starters, so some exchange points were becoming even more crowded than the previous ones (but not as bad as some later exchange points, just some foreshadowing). We also started to think that we might have a chance to catch our friends who were on team "Trail Heads". Their team started at 8:30 and we were now about 10-15 minutes behind them. Then before I knew it, Mike was off and running his second leg of the day. 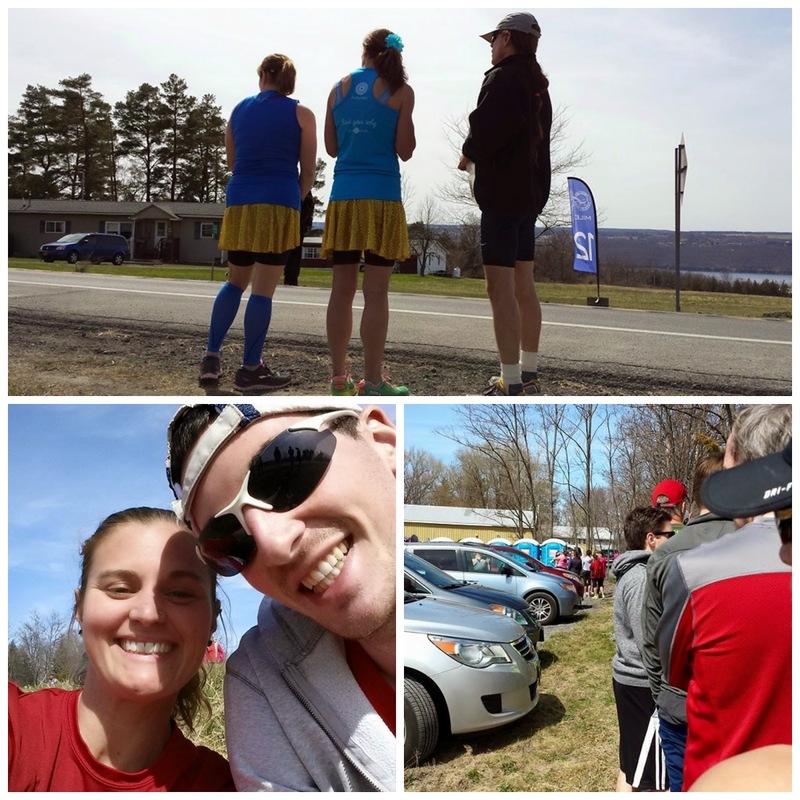 It was almost time for me to run my final leg of my fourth Seneca7. I just hoped I had enough left in me to pull a decent pace. You'll just have to wait and see if I did! 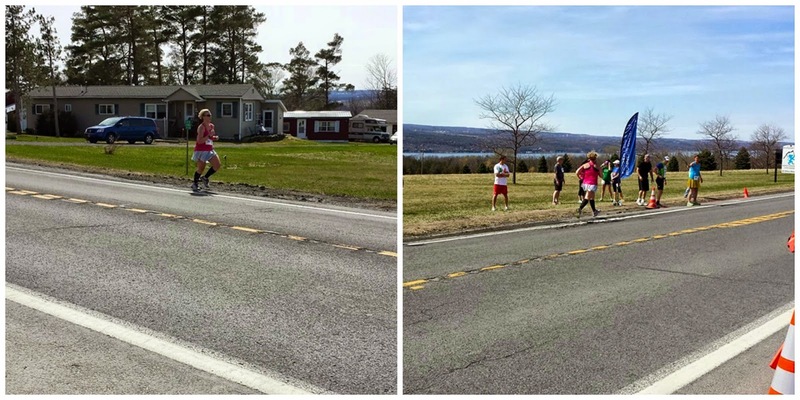 Wow, great overall pace for such a hilly section.